Entrepreneurs are known for taking risks, having tireless energy, and dreaming up countless “good ideas.” They also often tend to leap from one idea or business venture to the next, forever chasing “shiny objects,” and pursuing what they hope will be the next great thing. Simple distraction is one of the top reasons so many start-ups fail, according to a Statistic Brain study. Among the 12 major management mistakes linked to entrepreneurial busts, one of the biggest is lack of focus. It’s a common leadership challenge, and we hear new clients say they struggle with all the time. 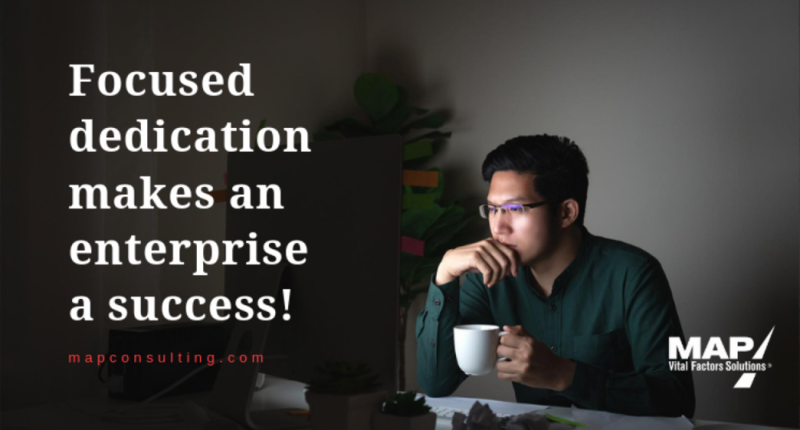 Keeping your mind on a single task for a long time can be draining, but it’s exactly that kind of focused dedication that makes an enterprise a success! There are occasional reasons to have a lack of focus. Personal life can be a distraction, or health issues; yet so many people with no reason to be distracted sit around making excuses for their inability to progress. 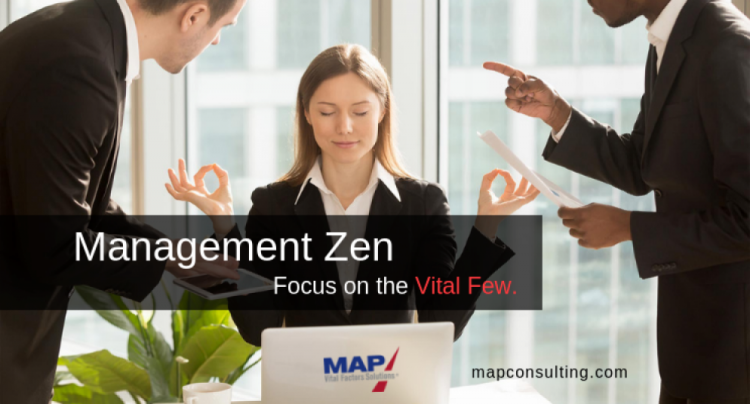 The best leaders know how to sharpen their focus to a razor-sharp edge, and put that energy entirely into their entrepreneurial leadership, their people, and their business. They know that without it, they’ll run themselves down and run their organizations into the ground. 1. 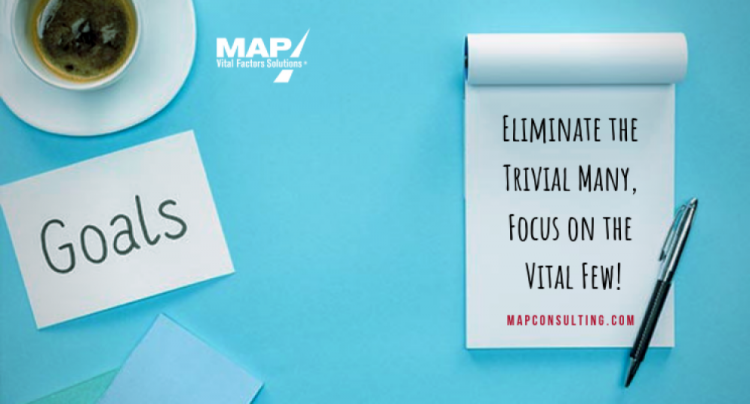 Clearly define your company’s vision, mission and values. People with great ideas launch new businesses every day. But if those leaders don’t have a clear vision, mission, and values, these organizations are likely to crash and burn before getting far off the ground. Your teams need to understand the direction the company is moving, so that they can use that knowledge as a basis to set goals and achieve them. Aside from helping formalize and professionalize aspects of the business, these three guideposts provide critical structure and guidance. These are the seeds of an organization’s culture; from there, the business is much more likely to grow, be strong, and remain rooted. The whole point to the test is that it helps you determine whether or not you’ll be able to successfully implement and, importantly, execute an idea. It’s a way to avoid wasting time, money and other resources on unlikely pursuits. 3. Create a solid plan. You’ve heard the expression “life is two-thirds planning and one-third delivery,” right? Well, it’s true. When you take the time to plan and use an accountability tool that’s effective, you’re going to start having a greater focus on the truly important things. When you add focus to a good strategy, you’ll have a powerful framework for reaching goals. Keep your plan handy! Don’t bury it away a file cabinet or desk drawer. To maintain your focus, you need to rededicate yourself to goals weekly, and even daily. Utilize your plan like a calendar of goals, and let it be a powerful reminder to stay on task and resist distractions. The temptation to get derailed will invariably come your way, but you can resist the “shiny objects” and stay on course! What “shiny objects” distract you from remaining focused, productive and successful?